What is a Co-op? A co-op is a jointly and democratically owned business. Everyone who buys a share in the business has a vote and profits in some way when the business is profitable. Co-ops have values and principles that guide them in how they operate. Our co-op sells shares to each household who wants to join. Why do we need a co-op grocery store in Grand Rapids? We're already the home of Meijer, Spartan/Nash, and Gordons! Yes, and we still have limited food access in the central part of our town. We are working to bring food access to this traditionally underserved area. We are also working to strengthen our local food system, provide good paying jobs to people who live near the store, provide a community gathering space that welcomes everyone, and show Grand Rapids a new way to do business cooperatively that keeps the money circulating in our community. How much is a share of the Co-op? Our share is $250 for each household. Shares are not yearly fees, you pay this amount to become an owner of the co-op. This can be paid all at once or over ten months at $25 per month. If you are low income, you can access our Food for All program and buy a share for $25. If your budget does not allow you to buy a share, we have a scholarship program that can help. What if I want to leave the Co-op? You can leave the co-op anytime and your share will be returned to you according to the bylaws. What if the Co-op doesn't open a store? If the co-op decides to cease operations, shares will be returned as much as possible. There is a risk to ownership of any business, but the risk is shared by all of us equally as well as the rewards. Where will the store be located? Right now we are working to locate our store in the Tapestry Square Project that will soon be built by ICCF (Inner City Christian Federation) at the corner of Wealthy and S. Division. We will be part of a mixed-use project. The store will be about 10,000 total square feet and may include a cafe as well. In order to take advantage of this location, we need to be able to open by the end of 2020. This will mean that we need to grow our number of owners very quickly to put all the pieces in place in that time. What kind of products will be in the store? That will be decided by our owners. We anticipate that we will have as much local food as possible. We want to have food that is healthy and good for all diets. We will also have other household products, health and beauty products, a deli, a hot bar, a salad bar, bulk foods and spices, and beer and wine. Are you a part of ICCF or another Christian organization? No. 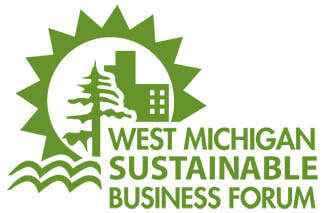 We are an independent, cooperative business organized under the Michigan Co-op Statute.